Say Burgin is a historian of the 20th century US focusing on social movement and African American history. Originally from Iowa, she competed her BA (English and Women’s Studies) at St. Olaf College, and her MA (Race & Resistance) and PhD (History) at the University of Leeds, UK. In 2017, she joined the faculty of Dickinson College as Assistant Professor of History. 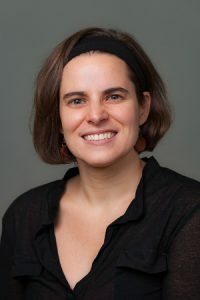 Her publications have appeared in the Women’s History Review, Journal of American Studies, Journal of International Women’s Studies, The Nation, and elsewhere. Her first book – currently in-progress – examines the myth that Black Power oversaw the wholesale ejection of white individuals from the movement. Say co-created the educational website Rosa Parks’s Biography: A Resource for Teaching Rosa Parks which can be found at https://rosaparksbiography.org/. Follow her on Twitter @sayburgin.